Check out the following articles about our program that have been featured in local newspapers and magazines. 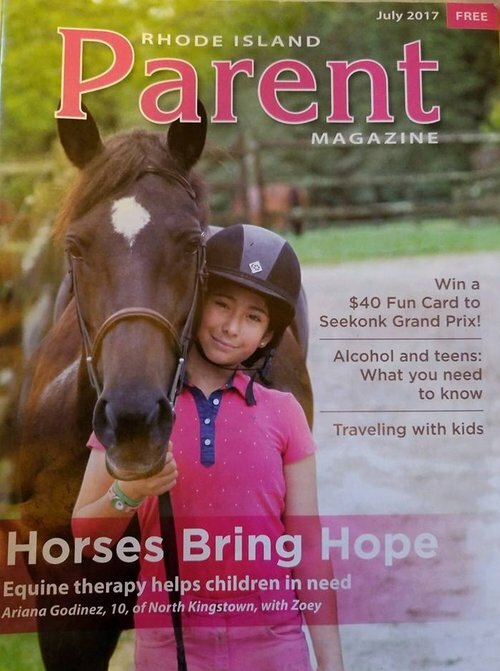 Horses Bring Hope was the cover feature in Rhode Island Parent Magazine's July 2017 issue. Read the whole piece here. You can read the full feature from June 2015 here.